This module allows you to generate a random password when creating an employee or a customer account. It also gives you the option of sending the new password by e-mail. You do not need to note all passwords for user accounts and / or employees that you create! They can now be sent by e-mail to main interested! Sending password (Employee) choice on simple checkbox. 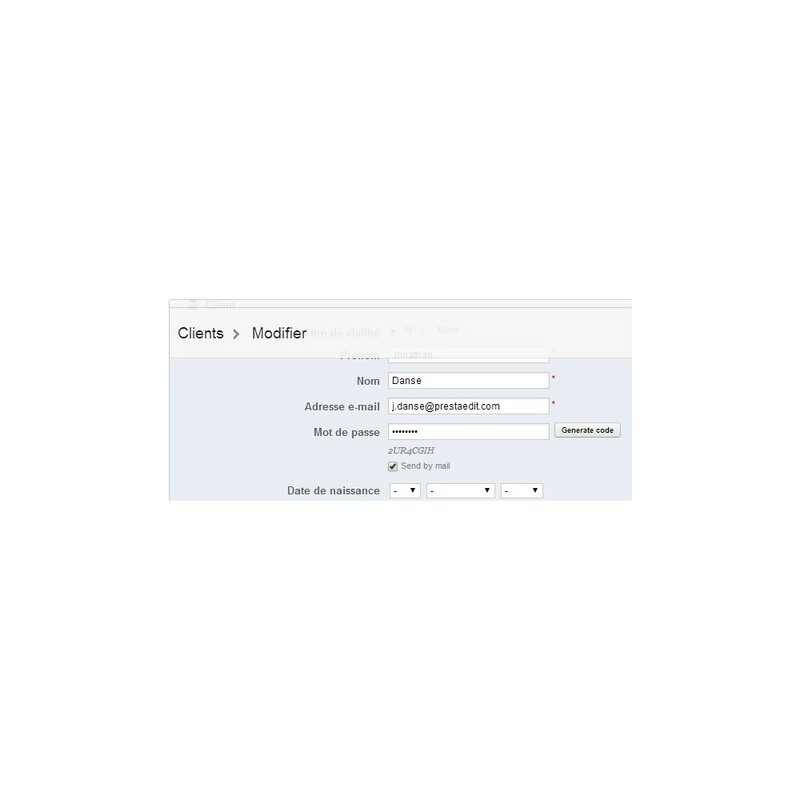 Sending password (Client) choice on simple checkbox.